"Stabilisator, vorne, A-Body 63-66, 1 1/4″, hohl"
Front Sway Bar Diameter (in): 1.250 in. Whether you're traveling winding roads or passing semis on the highway, you'll drive with confidence, control, and stability thanks to Hellwig Mototsports tubular sway bars. These track-tested, street-proven sway bars are precision-engineered and 100 percent American-made. Hellwig sway bars feature 3-point adjustment to tailor-fit your suspension and are made from high-strength tubular DOM steel for maximum performance with half the weight. Plus, these sway bars utilize high-Durometer polyurethane bushings, heavy-duty zinc plated hardware, and an attractive ″ hammer tone″ powdercoated finish for years of trouble-free service. Larger-than-stock diameters optimize handling and reduce body roll. All bends are computer-controlled and ends are tapered to eliminate stress and radiused for better clearance, a cleaner appearance, and a perfect fit. With a little time and common hand tools, you can experience the performance of these Hellwig bolt-on sway bars. Immediately, you'll feel the difference in and out of the first corner. Sway bars are one of the most effective handling upgrades for your vehicle. What are you waiting for? 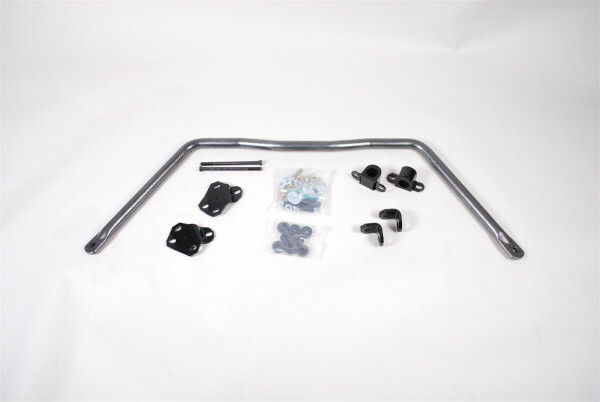 Add Helwig Motorsports tubular sway bars and you'll enjoy driving much more.